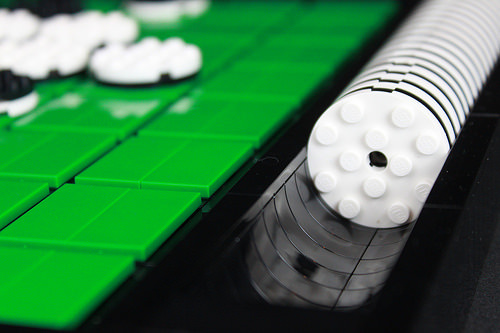 LEGO is a good medium for recreating board games, and over the years we’ve covered brick-built versions of everything from Clue, to Settlers of Catan, and everything in between. Not to mention a plethora of LEGO chess sets, both historical and themed. 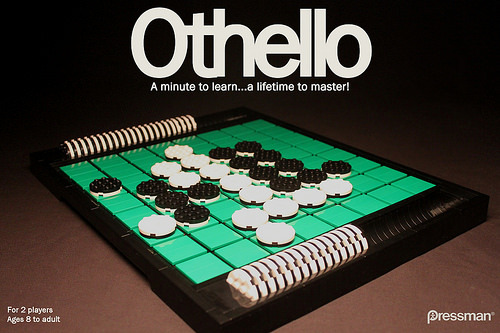 Now jtheels has recreated one of my personal favorites, Othello. Not only is the LEGO version completely playable and accurate in every detail, the builder has even used it to recreate the original game’s box art!